Comments: Mary Elizabeth Michaels (Nee: ) | Mammoth Spring AR USA | 1901-1920 | Comments: This is a picture from the tombstone of the subject. 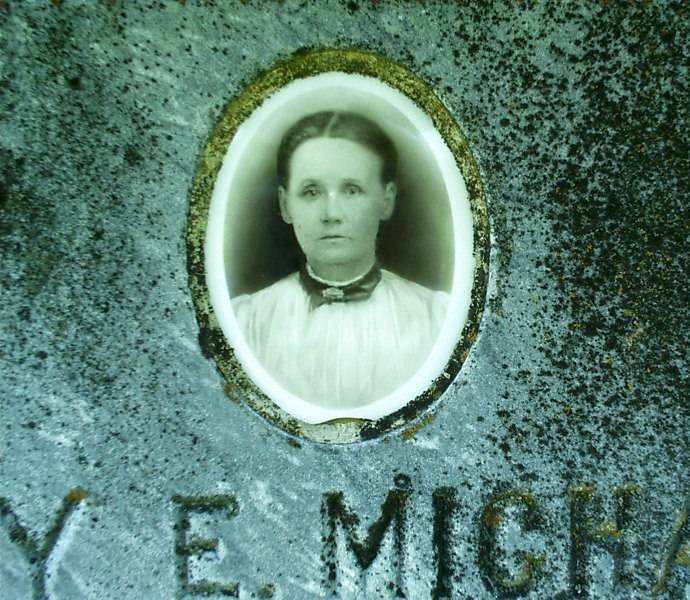 Mary E. Michaels (1855-1918) was married to Zeb D. Henry and lived in and near the Mammoth Spring, AR area from the 1880s until she died. She is buried in Moten Cemetery in Mammoth Spring.